While used car shopping (more on that further down), I visited Girard Auto Sales, which gets all the Isringhausen (luxury car dealer in my town) trade ins, so I was expecting mostly late model cars. So when I actually saw the dealer, I knew that assumption was wrong. OPPO heaven (at least as close as I can get outside of Lane Motor Museum). 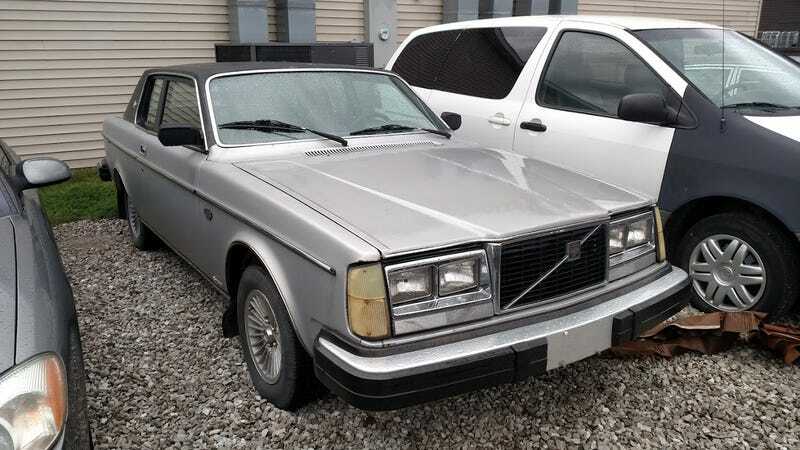 I didn’t even know this Volvo was a thing. Tiny Austin Mini. ShopVac in the back for size reference. JENSEN INTERCEPTOR!!!! The guy showing me these was absolutely shocked that I knew what it was. Other than the poor choice of rims and lots of dust, it was nigh on perfect. Mmmmm American V8 in British bodywork, as cars should be. That 996 has seen better days. Real AMG or just a body kit? This was just one of about 4 500SEC’s they had. Also they had countless 380SL’s. I’ll try and get more pics tomorrow when I go back. It was raining and cold so I didn’t feel like taking a ton of pics. Basic specs: ‘base’ 2002 Infiniti Q45, $3k, 180k, 4.5L V8, 5 Speed Auto, RWD, and a crap load of nice things, as well as a newer radio. Rear bumper cracked, a little odd but not a huge deal. Back seats are slightly worn and slightly dirty, but not bad. The trunk has the most issues of the car: a little small (the factory subs and amp take up a good amount of space), so I could only fit a few bodies back there; the trunk lid is super duper light so it falls easily and can appear closed even when open; had water in it at some point so the mat is a little moldy. The weather stripping appears fine and it wasn’t wet to the touch, so I think it was a previous issue. It also had a slight bit of rust bubbling below the rear window. IGNORE THE LIGHTS. Those are due to them having to jump start the car. Glove box could be larger, but then again, I’m a bit spoiled with my Odyssey having 2.